Tremont Elementary School was built in 1952 and serves approximately 650 students in kindergarten through grade five. Its attendance area is bordered by Lane Avenue on the south, North Star Road on the east, Riverside Drive on the west and Wickliffe, Ridgecliff and Fishinger Roads to the north. Principal Jim Buffer joined Tremont Elementary at the start of the 2016-2017 school year. An Upper Arlington High School graduate, Mr. Buffer has 31 years of experience in education, 19 of those here in Upper Arlington. He has served as assistant principal at Hastings Middle School and both an assistant principal and the athletic director at the high school. Mr. Buffer earned his bachelor’s degree and master’s degree in English education from the Ohio State University. He completed his administrative certification through Ashland University. Assistant Principal Patrick Hurley is a graduate of Tremont Elementary School and taught at the school for 14 years. 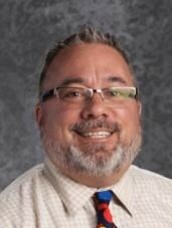 Most recently, he was an instructional leader for Upper Arlington Schools, supporting staff at both Tremont and Barrington elementary schools. 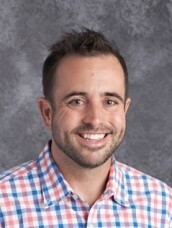 A graduate of Upper Arlington High School, Mr. Hurley earned a bachelor's degree in K-8 education from West Virginia Wesleyan University and a master's degree in curriculum development and teacher leadership from Liberty University.